This is the story of the specialized U.S. armored force designed specifically to kill enemy tanks in direct combat. It follows the men who fought in the TDs from the formation of the force in 1941 through the victory over the Third Reich in 1945, through North Africa, Italy, France, and Germany, describing a story of American flexibility and pragmatism in military affairs. It draws heavily on the records of the tank destroyer battalions and the units with which they fought, and veterans of the force add their personal stories. Harry Yeide has been a national security affairs analyst for the federal government for 27 years. He received a BA in political science and German from Muhlenberg College in 1982 and an MA in international affairs from the George Washington University in 1984. In his position with the federal government he has worked as a political, terrorism, and economic analyst on the Soviet Bloc, the Balkans, the Aegean, East Asia, South Asia, Africa, and Latin America, and he has served in numerous assignments overseas. He is the author of a number of works of military history, including The Longest Battle and First to the Rhine. 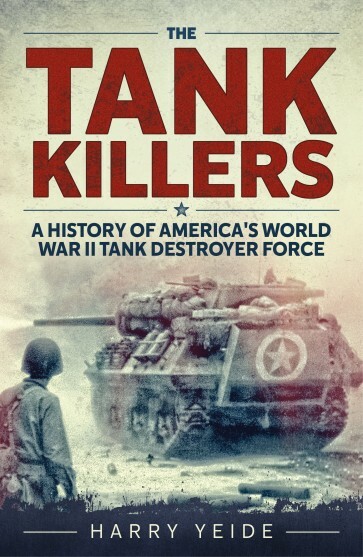 "...very well-done... ought to be welcome by those of us who enjoy a good read ..."
"…interesting book, and definitely the best coverage of tank destroyers currently on the market." "…this thoroughly researched and well presented history of a relatively little known, but significant, contributor to victory is a valuable addition to US Army history"